Travelers who have a passion for food should take note of Sceptre Tours’ three new Slow Food escorted vacations in Italy which focus on the regions of Tuscany, Venice, the Amalfi Coast, and Sicily. The Slow Food movement is a grassroots company that was founded in 1989 to counter the rise of fast food. The movement was made in an effort to slow down the fast-paced lifestyle and encourage people to eat more local food. As a result, the Presidio Food brand is a way that Italian products can be identified as local and high-quality. Today, there are more than 200 Italian Slow Food Presidia in Italy including fishers, butchers, shepherds, cheese makers, bakers, and pastry chefs. While on these tours, travelers will be escorted on their tasty journey which combines great food, beautiful sights, wonderful accommodations, and behind-the-scenes insights into centuries-old traditions of food and wine. Slow Food: Tuscany and Venice is an 8-night tour during which participants will have the opportunity to sample slow food products from wineries, bakeries, pastry shops, fresh produce markets, and more. Travelers will be perfectly situated to sample Pienza Pecorino cheese, wines from the Brunello Vineyards, the Certaldo Onion, the Terra Market of Bologna, and much more. 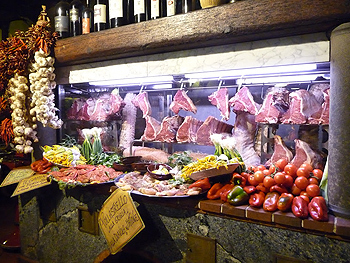 The tour visits Rome, Florence, and Venice and also includes a cooking lesson, guided tastings, and a number of meals. It is priced from $4,128 per person. Slow Food: Tuscany and the Amalfi Coast is a 9-night tour which includes incredible sightseeing as well as culinary highlights. During this vacation, travelers will have the opportunity to sample Pienza Pecorino cheese, wines of Nobile di Montepulciano, the famous Limoncello of Amalfi, the Certaldo Onion, and much more. It includes a cooking lesson, guided food tastings, and many meals and is priced from $4,042 per person. Slow Food: Sicily is a 7-night tour which features visits to many of Sicily’s most popular sites including Agrigento, Siracus, Ragusa, Palermo, and Taormina, and provides travelers with the opportunity to sample Extra Virgin Olive Oil of the Trapani area, wines from Mount Etna Vineyards, Manna, Traditional Pastries, and Desserts of the Madone Park Area, Polizzi Badda Bean, and Madonie Provola Cheese. It includes a number of meals and is priced from $4,010 per person. The above rates are all per person, based on double occupancy with departures from New York. Prices are slightly higher based on other gateway cities and can be determined by going to the landing page of each tour and locating the specific gateway city and date of travel. 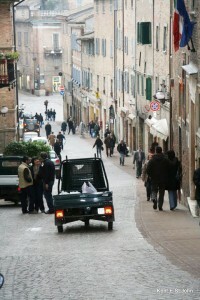 Find additional information on these Slow Food tours from Sceptre Tours, visit or call 800-221-0924.